With the fall semester in full swing, we wanted to know what’s happening at campus transportation systems across the U.S. Many operators are concentrating their efforts on making the bus commute for students even more convenient by adding Wi-Fi and bike racks to vehicles. Staffing is another issue some operators said they are dealing with, since they rely on student bus drivers, and have to replace many good ones who graduated last spring. “We have seen some big changes this year. We have increased our Campus Connector service by creating a new route that services a newly built off-campus student apartment complex. 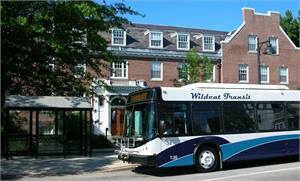 We have also increased our fixed route service off-campus routes thanks to a five-year grant from the state. If all goes well, this January we will be starting up a new route to a park & ride in a city we currently do not service. The goal is to capture more faculty, staff and graduate students who live in that area and drive their personal vehicles. 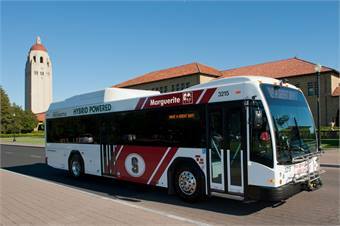 We received two new biodiesel buses in August and are expecting a new CNG bus later this fall. It has been a challenging start to the year where personnel are concerned. We lost a lot of good drivers over the summer and then some more after the semester started up. We also haven’t received the number of applications from students that we usually do. 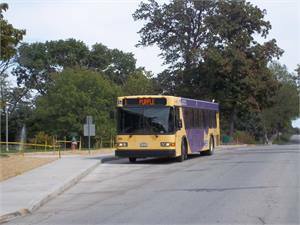 The great news is that we are seeing an increase in our ridership on all of our routes. It also comes with a down side. It’s tough putting overflow buses out there to accommodate the increased passenger load when we are struggling to cover the initial shifts.